Jakelin Caal Maquin had traveled to the U.S. with her father 2,000 miles from northern Guatemala. She died in December, two days after they were detained by border officials. By the time Jakelin was transported to a children's hospital in El Paso, Texas, she was vomiting, having seizures and had difficulty breathing. 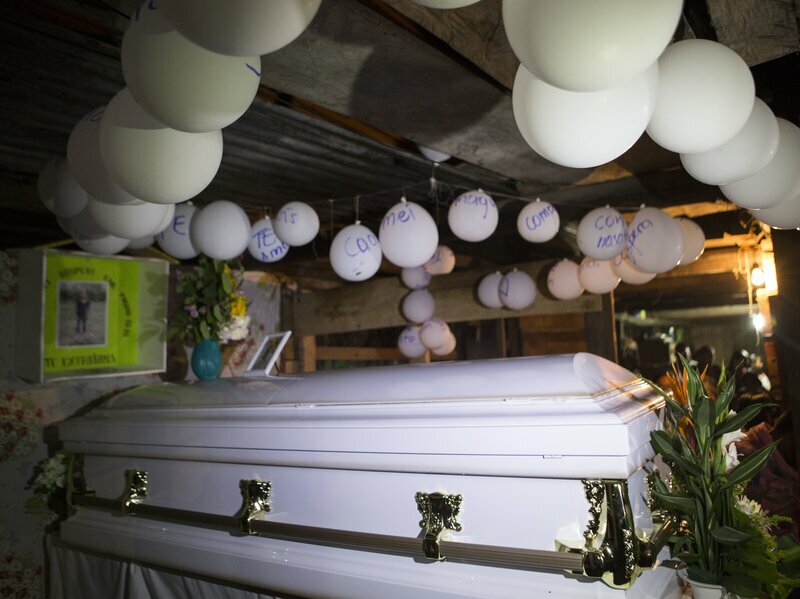 Balloons hang over the coffin that contain the remains of 7-year-old Jakelin Caal Maquin during a memorial service in her grandparents' home in San Antonio Secortez, Guatemala, Monday, Dec. 24, 2018.